• What were the patterns of policing, and policing transfers, across Portuguese colonial settings? • How did Portugal’s dual status as both fascist regime and imperial power shape its late colonial policing? • What have been the different experiences of post-colonial and transitional policing across the former Portuguese colonies? 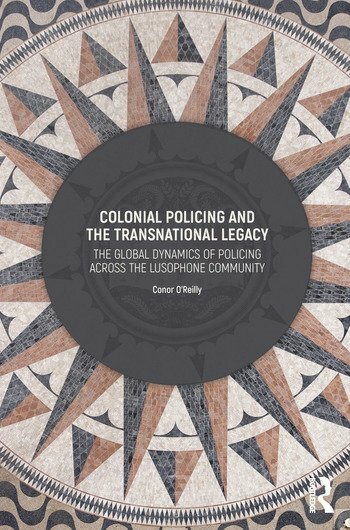 • In what ways are Lusophone nations contributing to, and indeed shaping, patterns of transnational policing? • What comparative lessons can be drawn from the Lusophone policing experience? 10. Branding Rio de Janeiro’s Pacification Model: A Silver Bullet for the ‘Planet of Slums’? Conor O’Reilly is Associate Professor in Transnational Crime and Security at the School of Law, University of Leeds. His research interests focus upon the transnational dynamics of crime, policing and security. He has published widely on these and related research themes in leading journals, including: British Journal of Criminology; Crime, Law and Social Change; International Political Sociology; Police Quarterly; and Theoretical Criminology. He is also author of the forthcoming monograph, Policing Global Risks: The Transnational Security Consultancy Industry. He has worked on a range of international research projects, including the COPP-LAB project on Lusophone policing, and is currently leading a three-year project on kidnapping in Mexico. This innovative compilation focuses upon policing across the Portuguese Empire and subsequent Lusophone contexts. It underlines how modernity has been marked by policing skills and practices that were forged in earlier processes of colonialism. The lethal violence perpetrated by police units also cannot be reduced to Stoler's 'Imperial Debris' but must also be framed within trends of police professionalisation. The collection also includes fascinating narratives of 'militarized humanitarianism' that help us to both understand and interpret current states of emergency. Until now, the field of Police Studies has not had a definitive account of the Portuguese colonial empire and its effects on the global dynamics of policing. This book is an excellent example of critical interdisciplinary scholarship that casts new and welcome light on to European colonialism and colonial policing.